We have just come back from a trip to India, that was more than a holiday. 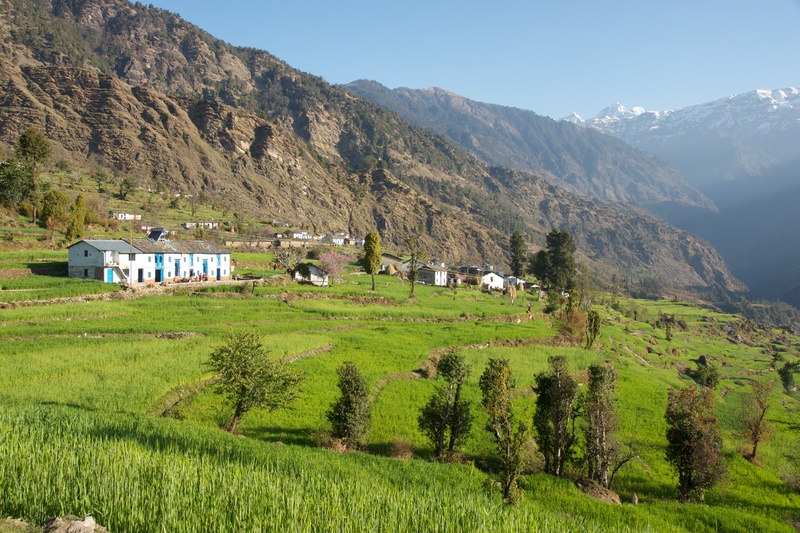 We were in Uttarakhand, north of Delhi and in the foothills of the Himalayas. 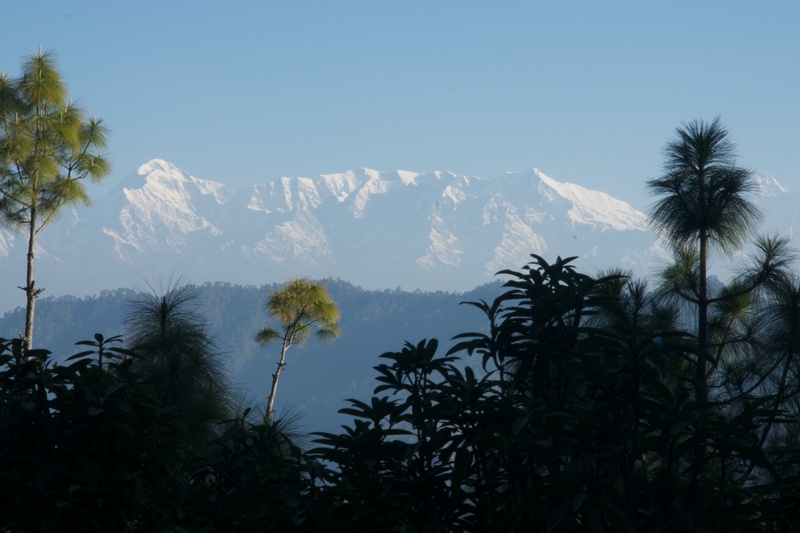 It was quite a journey to get there and our first view of the Indian Himalayas was from the Khali Estate in Binsar about 400km north of Delhi. They were breathtaking. A few days later we were even closer, under canvas at 3,000 metres and scrambling out of bed as the sun rose to catch a sight of the first shafts of sunlight on the peaks. That was a sight that none of us will ever forget. Our base for much of the holiday was a small village called Supi. A wonderful company called Village Ways has worked with the people of Supi and some neighbouring villages to establish guesthouses and camps, linked by 6-10km walks. The setting of the village guesthouses is wonderful, in the middle of the village looking over small terraced fields and to the hills beyond. One of the nicest features of this arrangement is that there is a real chance to talk to the villagers, and understand something of their lives. It is easy to be seduced by what seems a simple existence in idyllic surroundings, but it is of course subsistence farming and grinding and relentless hard work. 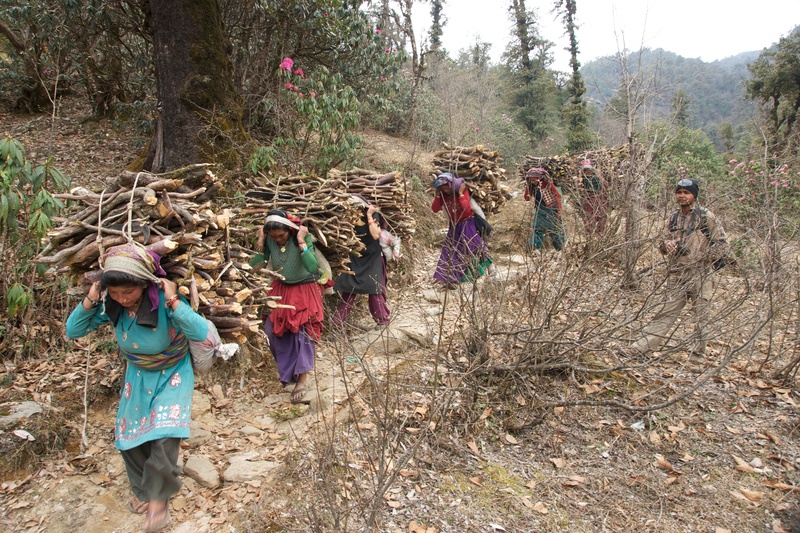 The women’s role is particularly demanding and every day we were there parties of women would head up into the hills collecting firewood which they carried down on their backs, at least 60kg at a time. It was all I could do to lift the weight off the ground. In fact the saying is that the women work hard and the men hardly work. But in general they seemed remarkably cheerful about it. But that is just a taster. Over the next few years I’ll post a few more images to give a fuller picture of what was a great adventure. 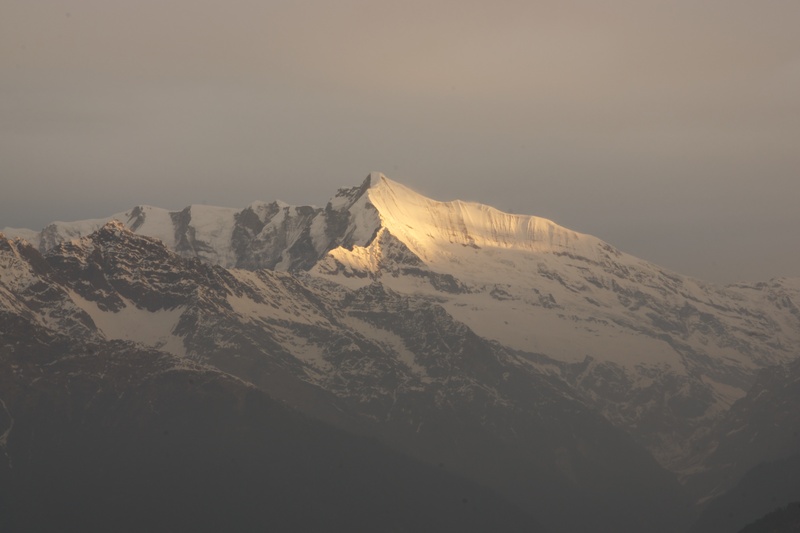 This entry was posted in Uncategorized and tagged Indian Himalayas. Bookmark the permalink.